Anthony Coleman has captured the discreet charm of London’s city halls, many of which no longer serve their original use or face demolition. London-based photographer Anthony Coleman pays tribute to the public architecture in his city, capturing a series of buildings that are, or were town halls. 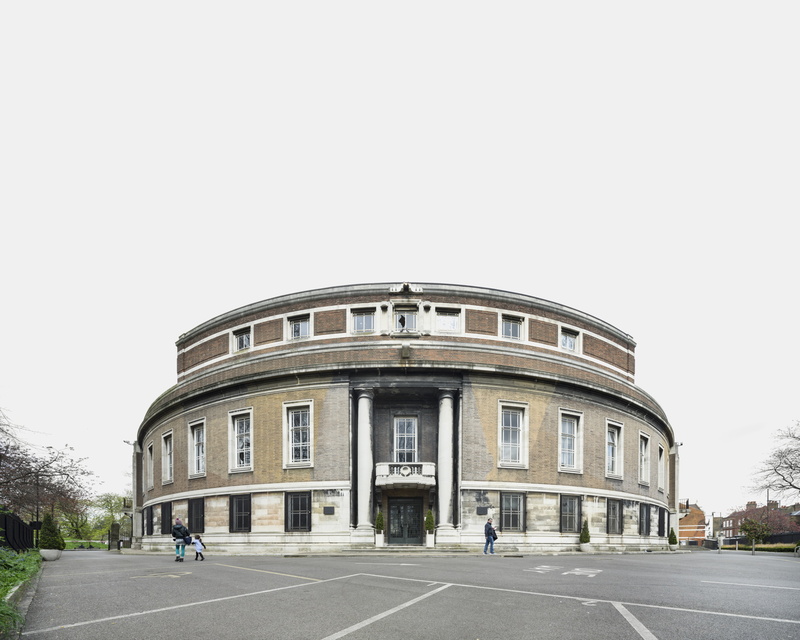 The subject of his project, Town Hall Series: A London Typology spans more than two hundred years – from Hackney Old Town Hall (1802) to Brent Civic Centre (2013) – giving us a snapshot of the history of these buildings, their original purpose and what remains of them now. According to the photographer, the importance of London’s Town Halls lies in the fact that they reflect the spirit of the time when they were built, a time when local governments were “about so much more than managing budgets”, bringing a number of different services, such as theatres, swimming pools, libraries and administration under a single roof, the city’s most important building. This meant they could stimulate the community and promote civic engagement. Now, many of these buildings have been repurposed or face demolition. And Coleman reports that Wembley’s town hall is now a French private school, while Wimbledon’s is a Tesco supermarket. And that’s nothing compared to Hackney Town Hall, which is now a betting shop. Is this really the representation of civic pride and of how over time this involvement has fallen to the wayside in favour of private freedom and individualism? Shoreditch Town Hall, designed by Caesar Augustus Long in 1866, perhaps embodies this dual character more than any of the others. On the facade a statue resembling Nike, the Greek Goddess of victory towers above the motto More Light, More Power, surrounded by a triumph of friezes, glazing and columns. 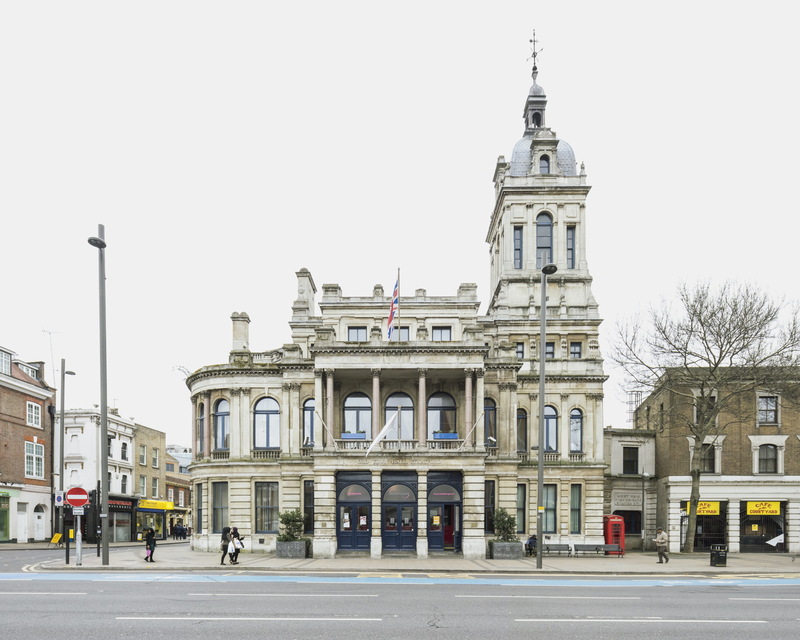 When the Town Hall was built, ambitions for the building were high, according to a contemporary report by Hackney District Board of Works. “We hope and do not unreasonably anticipate that the use of the edifice may tend to develop, strengthen and perpetuate the municipal principle, and to secure the Metropolis, the advantages of Local Self-Government for Centuries to come”. After handling the case of Jack the Ripper, staging theatrical performances and facilitating evacuations during the Blitz, about fifteen years ago, the Shoreditch Town Hall was converted into an “exciting destination contemporary arts and events venue at the heart of the buzzing creative scene,” complete with Michelin-starred restaurant. These buildings were designed and built to be fundamental to the community, and Anthony Coleman’s straightforward and precise rendering emphasises their civic importance. What doesn’t come through in these photographs is to what extent the idea behind the building has been respected over time, their external appearance aside. And against this, it begs the questions of to what extent are the fundamental values of the public realm that we constitute still alive today, behind appearances and facades? In this, perhaps, the paths of public architecture and a sense of civic pride have diverged over the years.